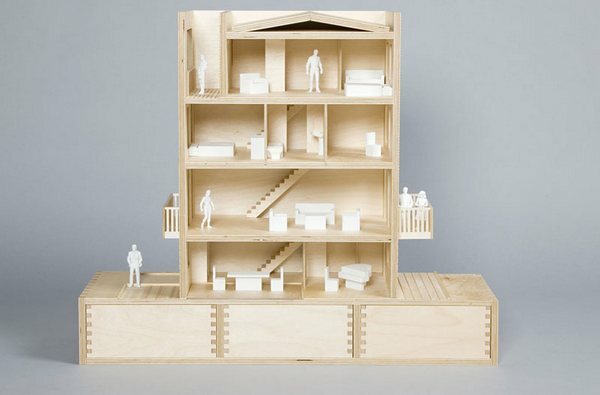 Dreaming of an architecturally designed home with all the mod-cons? Read on, it could be yours. Chances are, you’ll never live in a house designed by Zaha Hadid (the internationally renowned architect behind numerous projects around the world including museums, opera houses and stadiums, notably the MAXXI museum in Rome and the London Aquatics Centre). Her designs are futuristic, powerful and play with geometry. So while you may not be able to live in a Hadid design, it doesn’t mean you can’t own one. 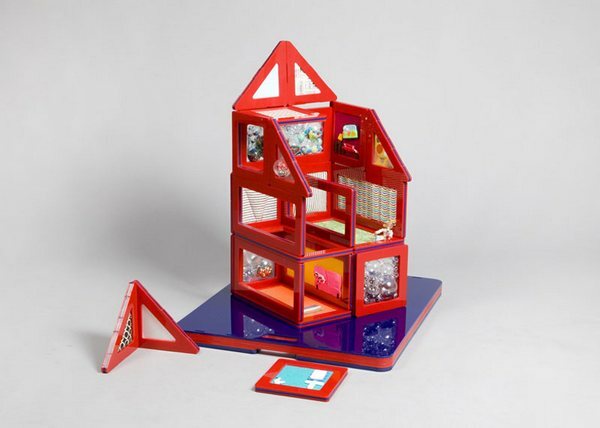 British charity KIDS, is auctioning twenty dolls houses, each of which has been created by the world’s best architects and designers. 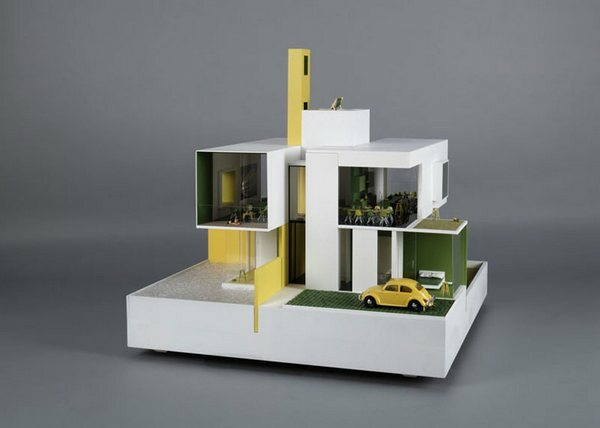 The collection, titled A Dolls’ House, includes a range of tiny architectural masterpieces from a modest eco-friendly concrete house by the 2012 Architect of the Year, Coffey Architects, to the fanciful treehouse-with-airplane creation by Amodels. 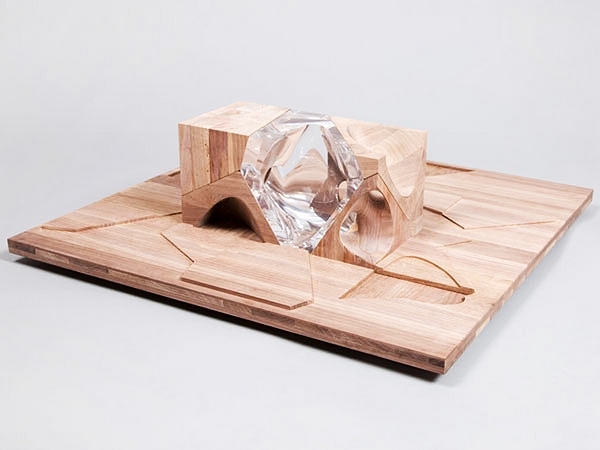 Of course, Hadid did not disappoint with her geometric wood and crystalline rectangular house – you won’t exactly be able to furnish it with bits from the Sylvanian Families collection but it is undoubtedly a thing of beauty! 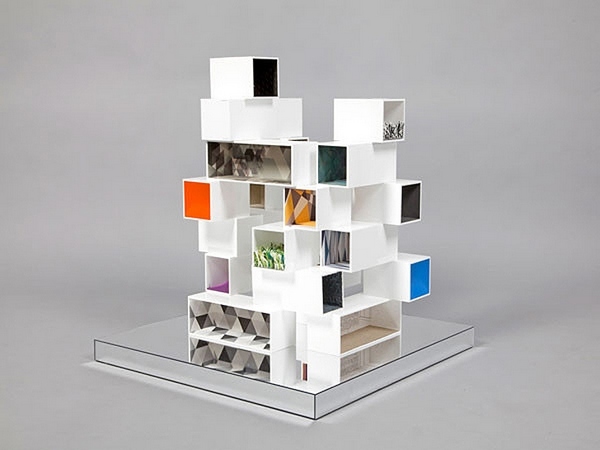 The auction concludes on November 11, 2013 so if you want to own a bit of serious architecture, get your bid in quickly (note that the reserve price for these dolls houses is approximately £1000).